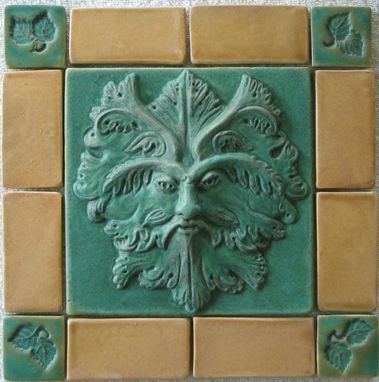 Our large Greenman tile measures approximately 8" square without the optional decorative border tiles. This leafy nature deity stands in high relief and makes an eye-catching addition to a patio, garden, craftsman home or out-building. It is made of durable stoneware ceramic and will withstand extremes of heat and cold. Suitable for outdoor use. 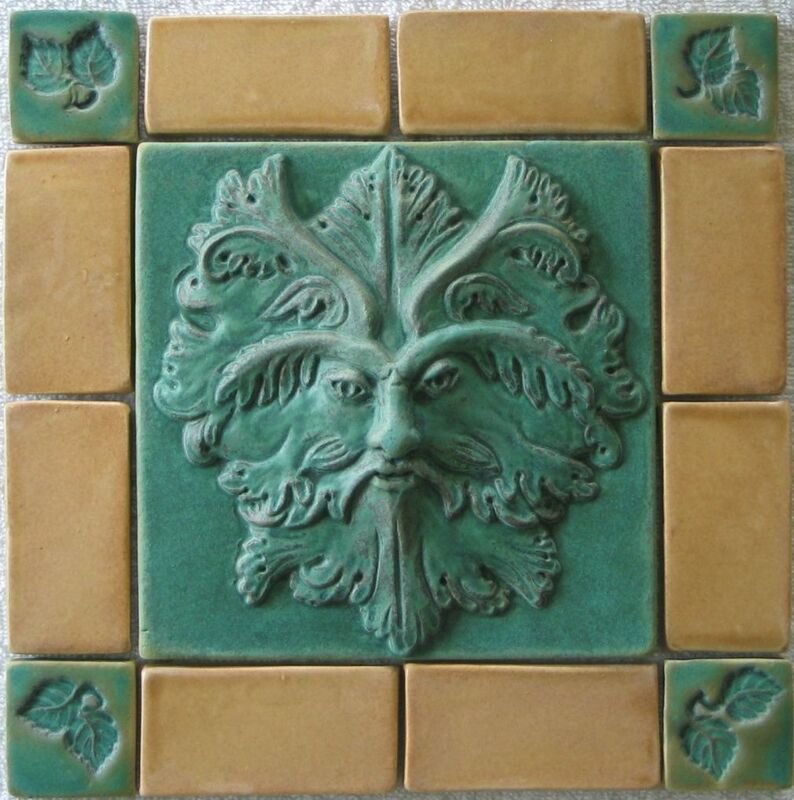 Dimensions: 8" square or larger with customized border tiles.